Entertain your donors and patrons in a private, exclusive, world-class facility and championship golf setting. Established in 1920, our course has been the site of major championships, exhibitions and events for the USGA, SCGA, PGA and other prominent industry associations. The likes of Tiger Woods, Gene Sarazen, and many other of golf's greats, have graced the hallowed grounds of Hacienda Golf Club, affectionately known as the "Jewel of the Canyon." 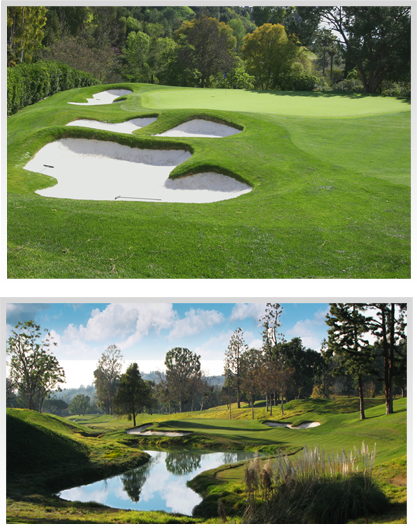 Designed in the "Golden Era" of golf course architecture, industry titans like Thomas, Bell, Tillinghast and others consulted with our very own course architect, Willie Watson, to create the majesty which has been enjoyed for nearly a century. Merge this with a hillside setting, a brand new state-of-the-art clubhouse and the finest service and culinary team in industry, and you gain a glimpse of the trademark "Hacienda Experience."